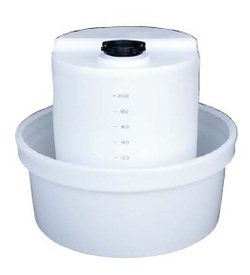 Round dosing tanks and lids manufactured from UV stabilised MDPE, natural colour. Bunds are also available. dimensions: diameter x height, all sizes approx.